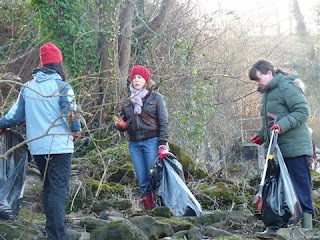 As part of the Tidy Towns Project, volunteers from across Cardiff rolled up their sleeves on Sat 12th December to tackle rubbish that is strewn across the bed and banks of the River Taff. Cardiff Rivers Group joined forces with Llandaff Rowing club and Glamorgan Anglers for the project, and together they removed 30 bags of rubbish aswell as large items including a chemical drum, ladder and carpet. Cardiff CC disposed of all the collected waste. Volunteer, Dave King said, ”I really enjoy these partnership events. It is great when we can join other like-minded groups to tackle a problem together. Not only do more hands make light work but we get to meet new friends aswell”. 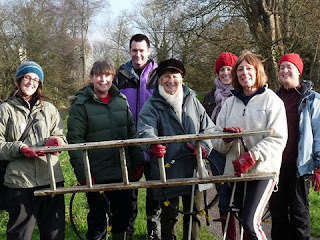 Cardiff Rivers Group was formed earlier this year as part of the Tidy Towns project which is a partnership between Keep Wales Tidy and Welsh local authorities. Funded by the Welsh Assembly Government it supports the people of Wales to improve the quality of their local environment. The initial idea for the group came from Glamorgan Anglers who wanted to tidy up their leased waters. 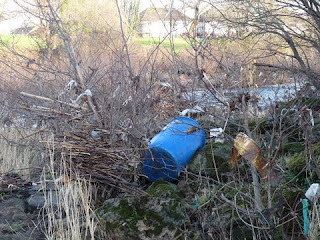 After contacting Keep Wales Tidy, other members of the community joined in and Cardiff Rivers Group was formed. The 7 enthusiastic committee members include anglers, local residents and environmentalists who share the same desire to see the riverside environment of Cardiff litter-free. 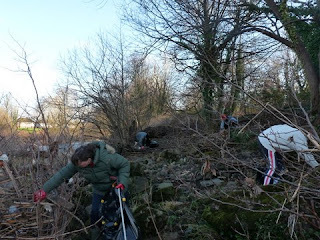 Assisted by Keep Wales Tidy, they have already undertaken a number of clean-ups of their adopted stretch of the River Taff which runs through the Gabalfa and Pontcanna areas of the City. The group’s next event will take place in the New Year. All volunteers are welcome so if you would like to lend a hand, please contact Louise Tambini on 07824 504790 or email louise.tambini@keepwalestidy.org.